The Plantation of Ulster followed the Flight of the Earls when the lands of the departed Gaelic Lords were forfeited to the Crown. Bardons history is the first major, accessible survey of this key event in British and Irish history in a lifetime. 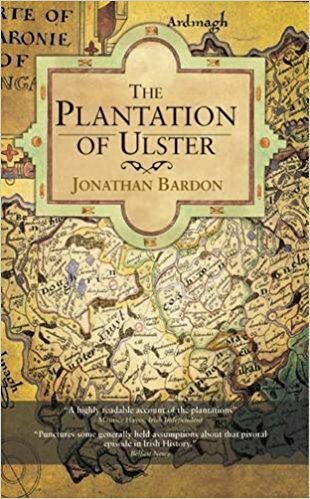 The Plantation of Ulster was the most ambitious scheme of colonisation ever attempted in modern Europe, and one of the largest European migrations of the period. It was a pivotal episode in Irish history, sending shock waves reverberating down the centuries. In this vivid account, the author punctures some generally held assumptions: despite slaughter and famine, the province on the eve of the Plantation was not completely depopulated as was often asserted at the time; the native Irish were not deliberately given the most infertile land; some of the most energetic planters were Catholic; and the Catholic Church there emerged stronger than before. Above all, natives and newcomers fused to a greater degree than is widely believed: apart from recent immigrants, nearly all Ulster people today have the blood of both Planter and Gael flowing in their veins. Nevertheless, memories of dispossession and massacre, etched into the folk memory, were to ignite explosive outbreaks of intercommunal conflict down to our own time. The Plantation was also the beginning of a far greater exodus to North America. Subsequently, descendants of Ulster planters crossed the Atlantic in their tens of thousands to play a central role in shaping the United States of America.